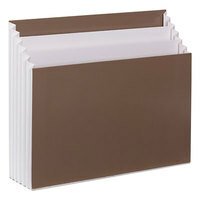 Our selection of desk storage supplies includes paper trays that are ideal for creating in-out boxes and other organizational systems in mail rooms or file storage areas. 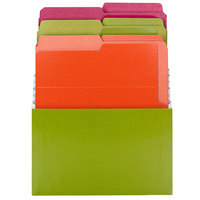 Additionally, you can choose shelves that are great for holding file and mail sorters and other organizational systems. If your employees are looking to clean up their desk drawers, you’ll even find several drawer organizers that are perfect for pens, pencils, Post-It notes, and other small desk supplies. Also make sure to check out other great items from Deflecto, Noble Products, Advantus, Alera, American Metalcraft, Artistic and C-Line Products. 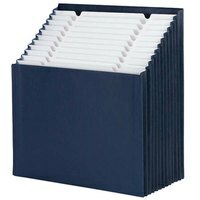 In addition to file sorters, paper trays, and drawer organizers, we sell business card holders, pencil cups, storage crates, and telephone stands, among other items. Because these products are all made of durable materials like plastic and metal, you can rest assured that they’re built to last. Best of all, our desk organizers are sold at low prices that help you purchase the supplies you need without exceeding your budget. 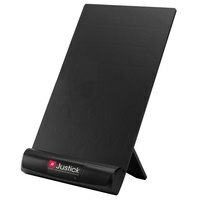 For related products, check out our notepads and notebooks, cards and stationary, and printable marketing materials. If you're wondering where to buy smead desk organizers and storage, we have a large selection of smead desk organizers and storage for sale at the lowest prices.